TOKYO -- Toyota Motor Corp. today issued a massive recall of 6.39 million vehicles worldwide for a range of glitches, from faulty airbags and seat rails to defective windshield wipers. The action covers five separate recalls, affecting about 2.34 million vehicles in North America and 810,000 in Europe. Toyota said it is unaware of any crashes, injuries or deaths caused by the problems, which span more than a dozen nameplates. The largest of the five recalls today, which covers spiral cables in airbags, ranks No. 4 in Toyota’s recall roster. Toyota’s largest single-part recall came in 2012 when it fixed 7.43 million fire-prone window switches. The No. 2 recall covered 7.12 million floor mat entrapment recalls from 2009-2012, and the third-largest was the 2010 remedy of 4.45 million sticky gas pedals to address unintended acceleration. The latest recalls were announced simultaneously, even though they are unrelated, because that is how the timing of the investigations unfolded, spokesman Brian Lyons said. The move comes amid heightened regulatory scrutiny of automakers in the United States following General Motors Co.'s recall of 2.6 million small cars for faulty ignition switches. The defect has been linked to 13 fatalities. Internal documents show that some GM engineers knew of a defect at least 10 years ago, but the company failed to issue a recall. U.S. dealers this week are beginning to perform the recall work while GM, regulators, prosecutors and Congress all are investigating why it took GM so long to issue the recall. 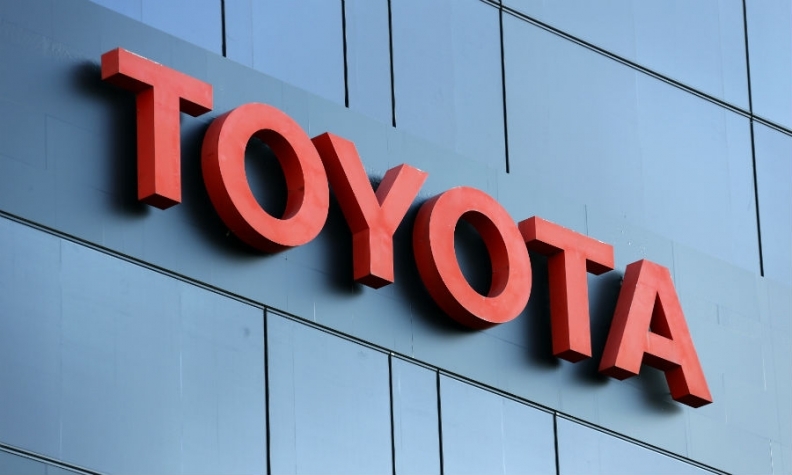 Toyota's recalls today took place after the company agreed last month to a pay a penalty of $1.2 billion to the U.S. government for misleading consumers and concealing facts about unintended acceleration in its vehicles. The rash of acceleration problems, traced to sticky gas pedals and unsecured or incompatible floor mats, triggered more than 9 million recalls -- for various parts and design flaws. The recalls total 6.76 million vehicles. But because some vehicles are involved in more than one recall, only 6.39 million vehicles are being remedied. The 3.5-million vehicle spiral cable recall, the largest of the fixes, addresses a cable that can become damaged when the steering wheel turns. This may trigger a warning lamp and deactivate the air bag causing it not to deploy in a crash. Outside Japan, the spiral cable recall involves certain RAV4, Corolla, Matrix, Yaris, Yaris Sedan, Highlander, Tacoma, Reiz, Hilux, Fortuner, Innova, Land Cruiser Prado and Camry nameplates. It also affects the Pontiac Vibe. About 1.67 million of the vehicles are in North America; about 130,000 are in Europe. Toyota did not break it down by model. In some cases, the seat may move forward during an accident. Outside Japan, the recall covers certain Scion xD, Urban Cruiser, Yaris and Yaris Sedan nameplates. About 670,000 vehicles are in North America; another 90,000 are in Europe. The third recall remedies steering column brackets that can become unstable when the steering wheel is repeatedly turned with full force. In some cases, the bracket may fail to hold the steering column in place. It affects certain Ist, Ractis and Yaris models. About 590,000 of them are in Europe. North America is unaffected. The last two recalls affect only models in Japan and Hong Kong.